The cheese maker Le Père Bafien was established in Neuville-de-Poitou in 1983. This cheesemaker is the last artisan maturer to use the traditional method of salting by hand that has made its cheeses among the most sought after in the region. Le Père Bafien is proud to showcase its artisan expertise, which allows it to offer high-quality cheeses made from the very best its region has to offer. Over the years, this cheese dairy, staffed by passionate individuals, has consistently aimed to showcase the quintessence of unique flavours which will certainly tingle your taste buds. Continuing traditional artisanal expertise is a sign of quality. With decades of experience, this master cheese maker and maturer uses the traditional method of salting cheese, from the moment the fresh cheese are received two days after being drained. Some cheeses are salted in Ile de Ré salt and coated in ash, others in vegetable charcoal on all sides. 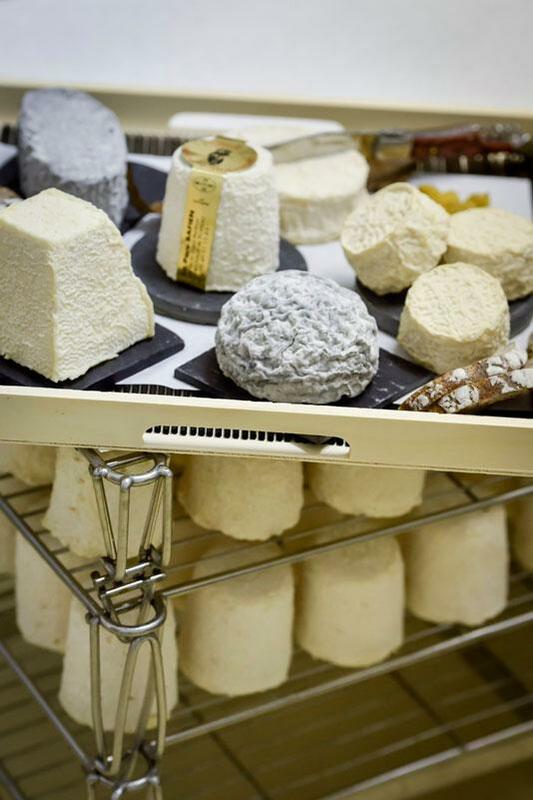 The cheeses are then matured in dryers to allow textures and flavours to develop. This measured expertise helps to develop the rind, the cheese and the colour until the desired flavour is achieved. The master cheese maker and maturer controls the time, temperature and humidity in dryers. Cheeses are handled and checked daily to ensure that they are developing well.